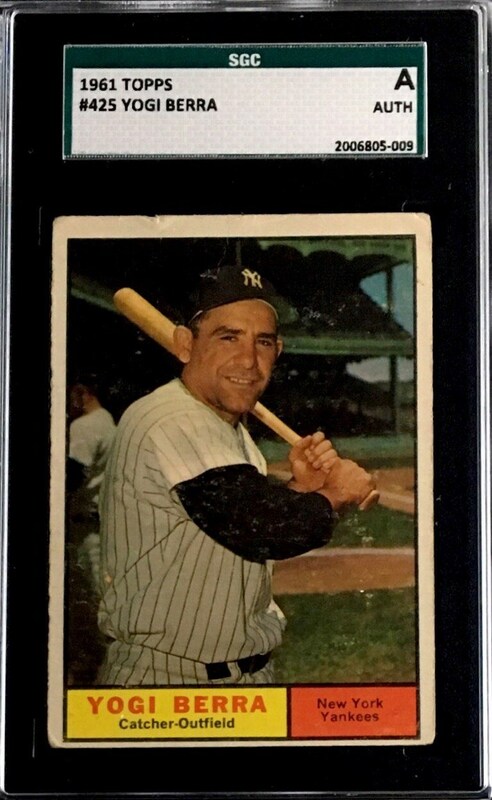 Up for your consideration is a 1961 Topps #425 Yogi Berra card. 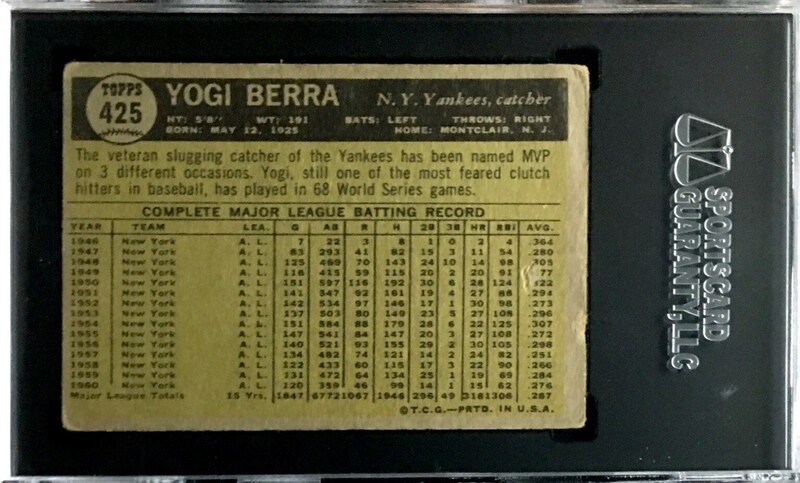 Berra was a key member of the Yankees dynasty. He would win three MVP awards. The card has been graded Authentic by SGC.